Great tropical print for this kimono! I love the color! This is so perfect for summer! I have a palm print sarong I need to break out soon. We are on the same wavelength with the palm print today, Shauna! What a great kimono and an even better price! Perfect for a weekend at the beach! Hope you guys had a great weekend and Happy Monday! Perfect Summer palm piece for sure!! Just look a these lovely photos of your lovely palm sweetness! Happy Monday pretty girlfriend! Such a cute outfit! Loving the palm print! What a steal on that kimono! Love it! 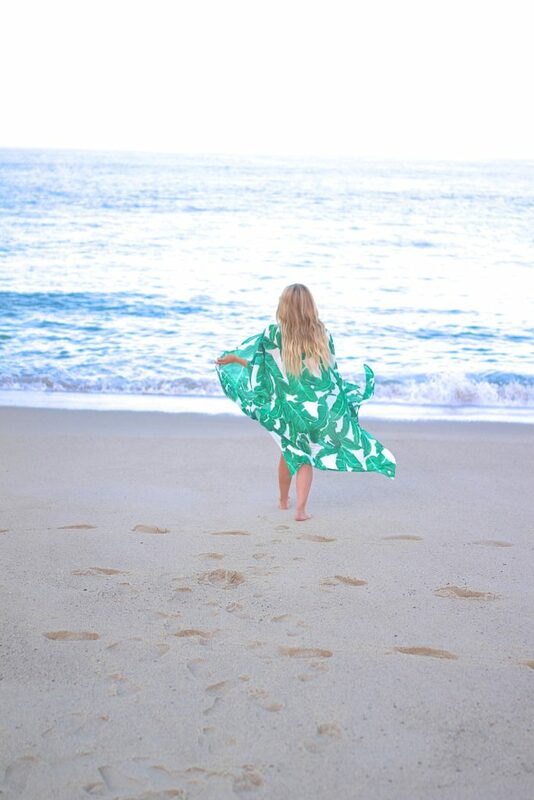 I love this palm print kimono, quintessential summer piece! That kimono is so cute. It would be perfect for a tropical vacay. So pretty ! Love the tropical print! I love that you wore this with an all white look. It really makes the green pop! I’m dying over this stunning kimono! The palm pretty is so perfect! Loving the kimono. Nice pictures. they make me miss the warm weather because it’s terribly cold over here. This long kimono is the JAM, babe- such a good pick! What a fun and fabulous kimono! Love the long length, this is sooo perfect for the beach! What a beautiful kimono. It is so pretty 🙂 Thanks for linking up to Creative Mondays. Hope you can join me for The Wednesday blog hop today.